Week 1 Week 2 Week 3 Week 4 Week 5 Week 6 Week 7 CGI Picture! CGI welcomes all CIT applications. Please keep in mind that we receive more applications than positions available. Each application will be reviewed and considered. We will be choosing our staff based on their qualifications and suitability for our program. During camp, the CIT will have the opportunity to assist a qualified counselor in leading preschool or elementary aged children. The CIT is then eligible to receive credit for community service hours. The CIT's job is to help out with the activities and crafts, play with the children, and give out snacks and lunch to the children. They will not be responsible to plan activities, nor willl they be left alone with the children. We ask that all CITs are punctual, and are at camp from 9:00 am - 3:30 pm Monday through Friday. How did you hear about CGI of Cherry Hill? Give names and contact info. of at least two people (not relatives) having knowledge of your character, experience, work habits and ability. I am certified in CPR/1st Aid through the end of July of this year. I am not CPR/1st Aid certified, and will require training in camp. I am not CPR/1st Aid certified, and will arrange for my own training. 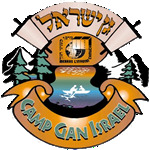 What contributions do you think you can make at Camp Gan Israel? Are there any details we should know about you and your work habits? I authorize investigation of all statements herein, and release the camp and all others from liability in connection with same. I understand that any agreement must be in writing and signed by the designated camp official. I also understand that untrue, misleading, or omitted information herein or in other documents completed by the applicant may result in dismissal, regardless of the time of discovery by the camp.